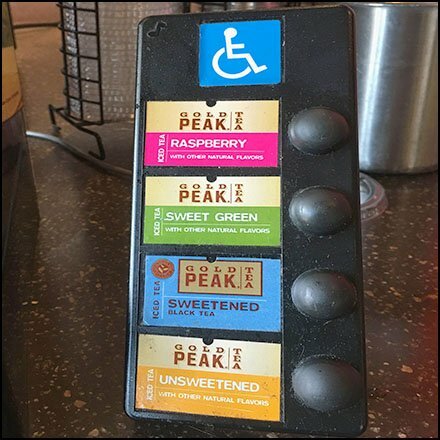 Knowing how to take care of a special segment of its following, extra service is provided by this Handicapped Tea Dispenser By Gold Peak Brand. An upper bank of buttons is meant for mainstream consumers. But a special low bank of buttons allow easier access by wheelchair users. A useful and civilized addition of service. This Handicapped Tea Dispenser By Gold Peak Brand seen at Wegmans.